CFA 10 kicked off what was an exciting opening round of the female featherweight tournament Saturday, with several competitive fights. 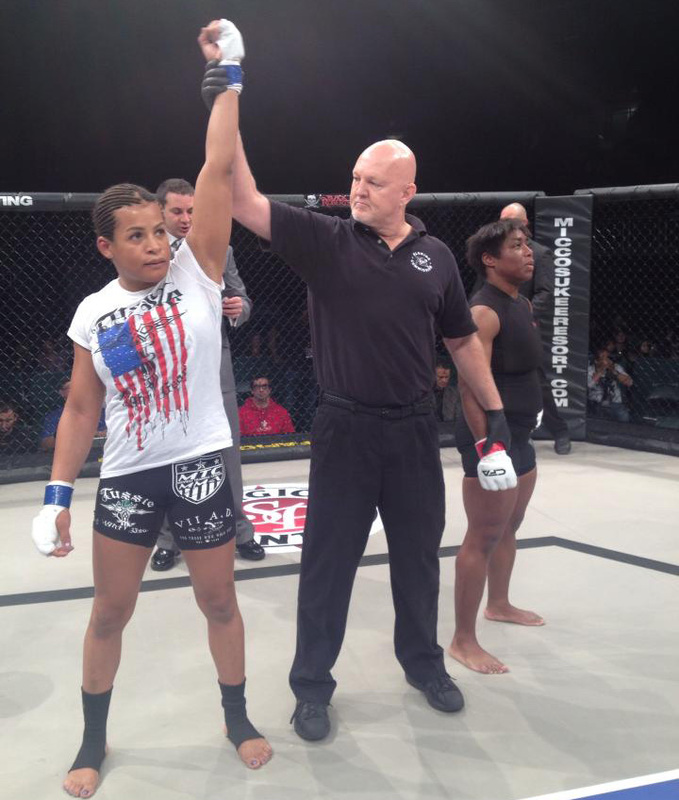 The night kicked off with Fallon Fox taking on last minute replacement Ericka Newsome. After tussling in the opening seconds of the fight, Fox landed two solid Muay Thai knees that dropped Newsome to end the fight in 39 seconds. 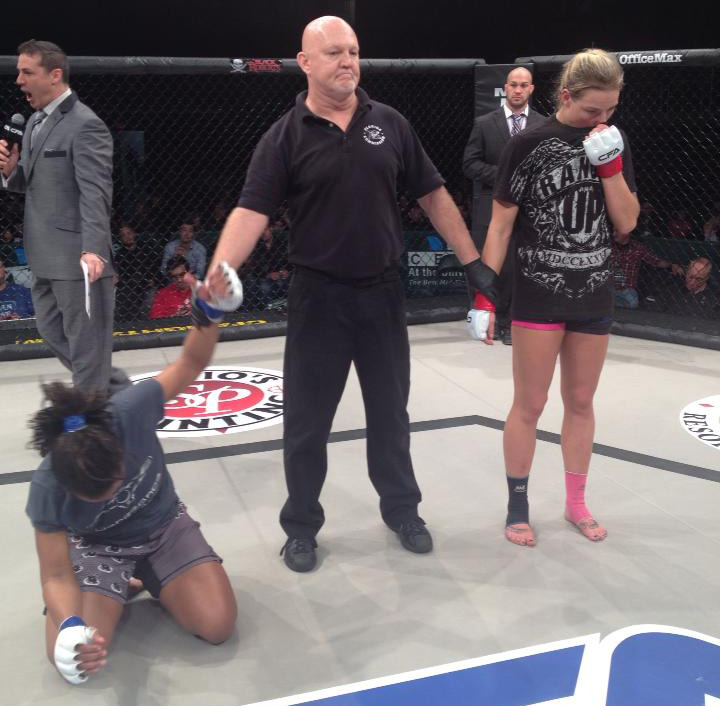 In the most exciting fight of the quarterfinals, Ashlee Evans-Smith avenged her 2011 loss against Tori Adams. The first round saw a back and forth between the two combatants, with Adams getting a takedown, and Smith hitting a huge elbow to escape it. Smith was able to stop takedowns and was more aggressive to steal round 1. Smith would pick up the pace in round 2, hitting combinations with kicks, and ultimately take top position. 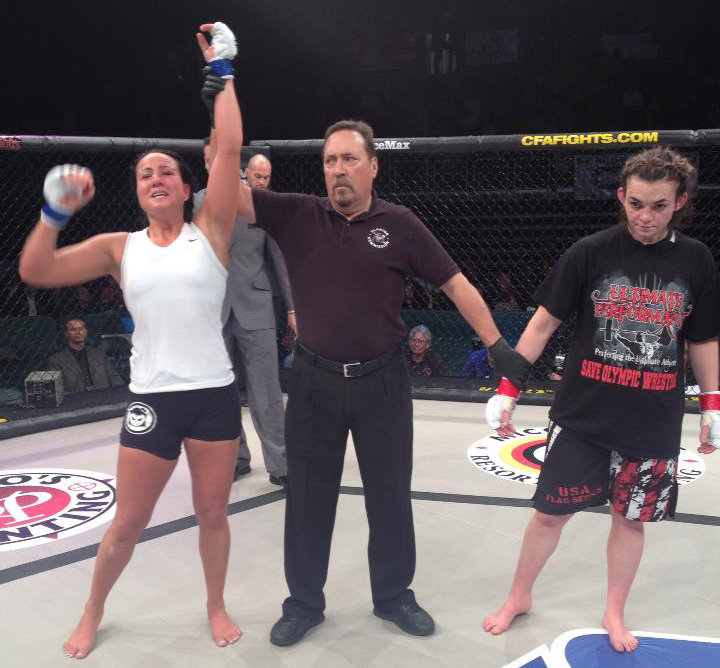 Round three was all on the feet as Adams step up and was more aggressive with her striking. Smith would take the unanimous decision with 29-28 in all three cards. 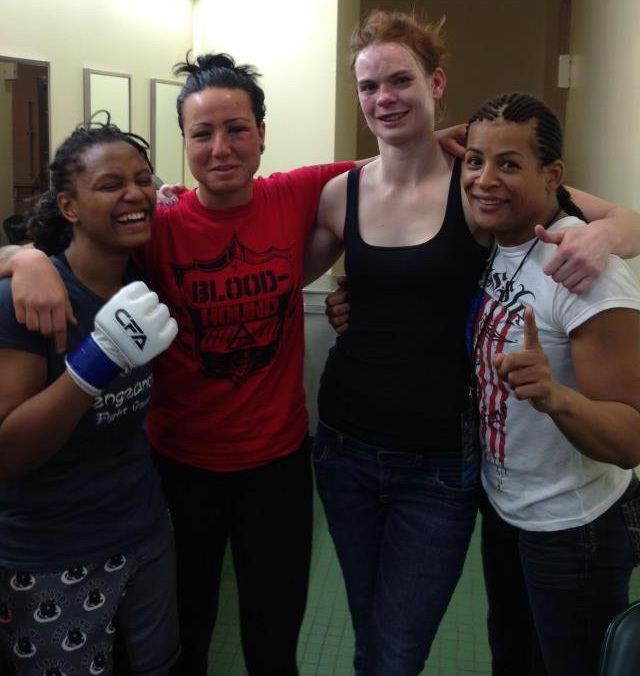 Peggy Morgan would use her pummeling and grappling to stop striker Revelina Berto in the third quarterfinal. Morgan got two takedowns in the contest, with Berto trying for an armbar in the second round. Berto tried to open up in the 3rd, but Morgan was able to pummel her against the fence. 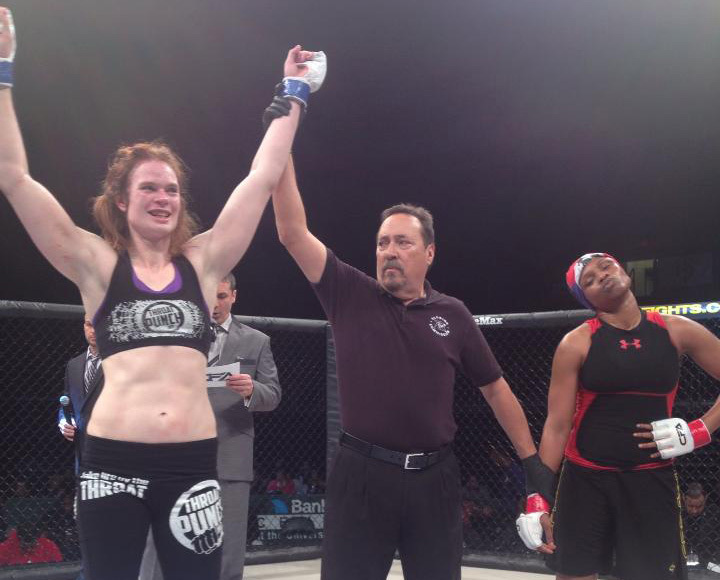 Morgan would get the unanimous decision victory, and will face Smith in the semi-finals. The last match of the opening round was a tentative battle between Marine Kelsey de Santis and Allanna Jones. Jones took the fight on only a few weeks notice. The match was all on the feet, with Jones being the aggressor. De Santis was able to counter punch but it wasn’t enough as Jones would get the split decision win. Jones will take on Fox in the semi-finals. The semi-final round will be at CFA 11 in Coral Gables, FL April 20. It will be available on their UStream channel for $8.